Flying through the mountains and the snow"
That is a very cool train. That is my kind of picture! Yum! Wow! I wonder how long that took to make! It's a work of art! Oh so beautiful! Thanks for hosting. It looks ALMOST too pretty and too awesome to eat! Wow! Love trains and that one especially! That looks like a magical train. Oooh looks like a winter wonderland fantasy come true. 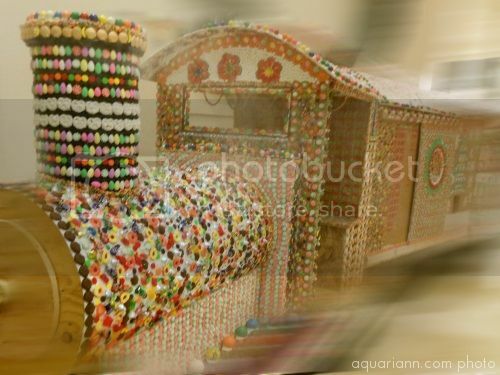 That looks like a scrumptious train! How fun! Very cool train. Wow, this looks yummy. I'd start eating at the front and work my way back. What a cool choo-choo! That's really neat-o! I'm running late this morning, but I finally have my WW post up. I hope you'll hop over to take a peek at My Favorite Christmas Things! My son just said that it was very well done. Nice processing and cute train. This train says "bling-bling!" instead of "choo-choo!" What a great shot! I also love that quote, it's a wonderful book and the movie is good too. That looks awesome, totally think my kids would love it. Saw the train at DD. You can get a sugar high just walking past it. The train is soo cool! What wonderful detailing. That takes some serious talent!